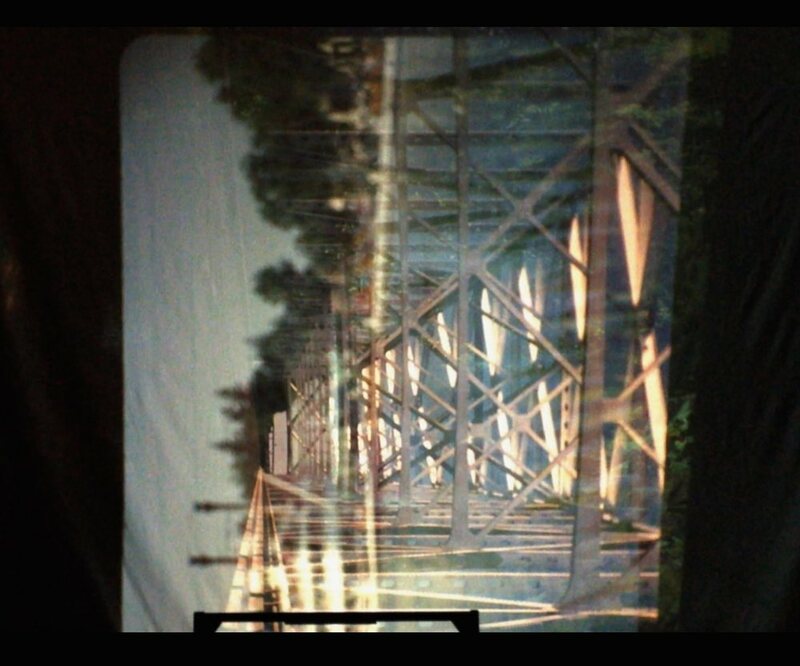 Three slide projectors project on a large screen and run on a continuous loop. The carousels advance forward and move backward in slow phasing patterns. The slides contain images of different cities, infrastructure, water, trees, and family vacation photos. 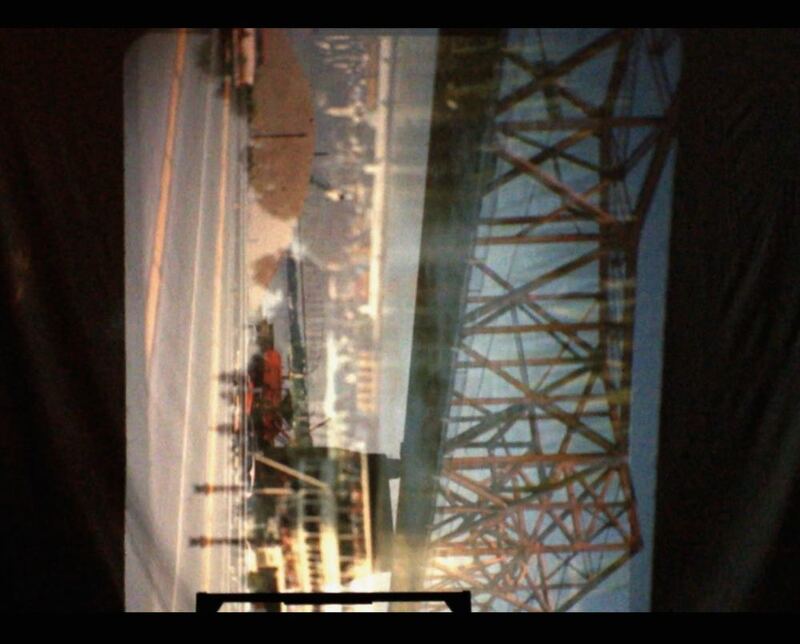 The images assemble and recombine in a roving manner. 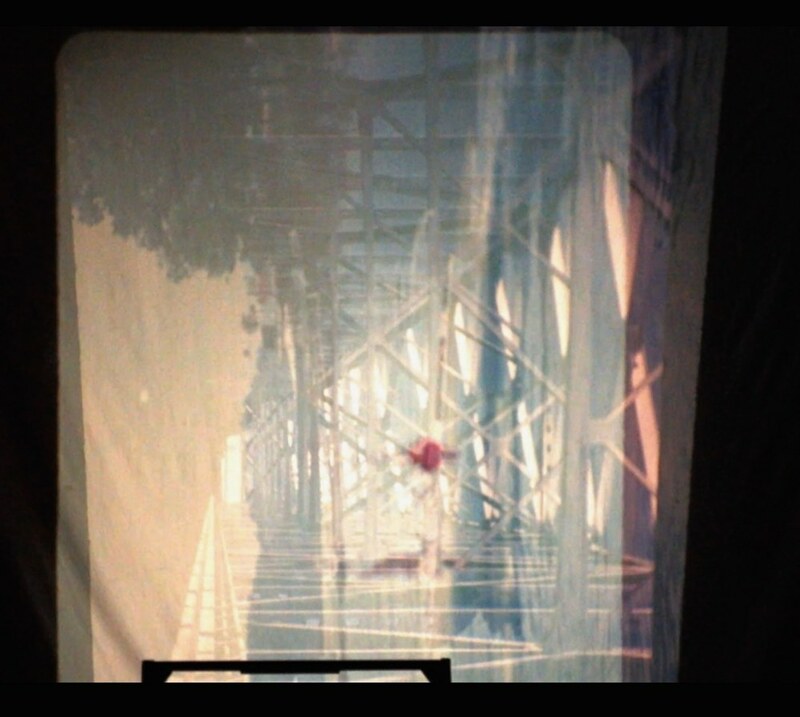 The fragile illusion of continuity in a moving image is carefully constructed and maintained by a film projector's mechanism. When it is functioning properly, the interdependence of it's acutely synchronized motions is elegant. 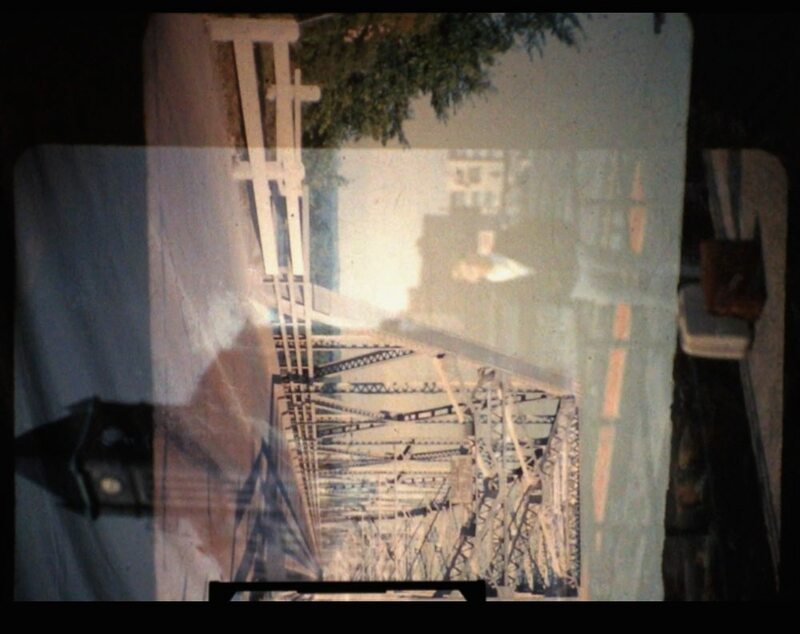 When malfunctioning, cracks in the illusion form -- The images flicker, distort, blur, and move in the wrong direction. 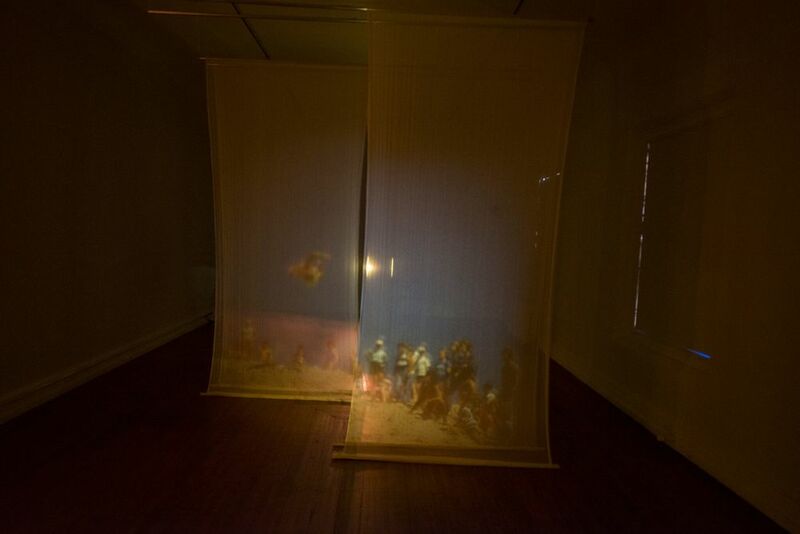 This piece explores the mechanistic nature of the slide projector and the film projector by deconstructing and recombining their parts, exploring their features and exploiting their faults.